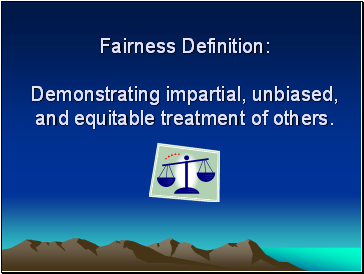 Demonstrating impartial, unbiased, and equitable treatment of others. 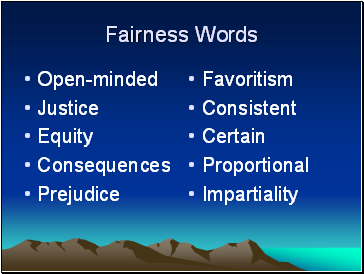 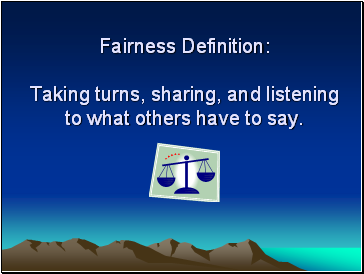 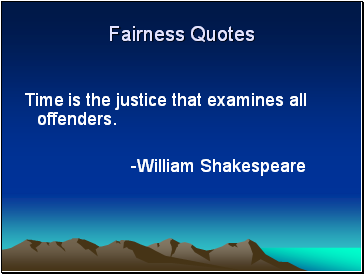 Fairness Definition: Taking turns, sharing, and listening to what others have to say. 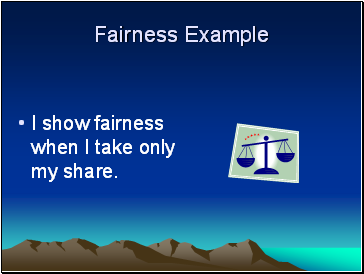 I show fairness when I take only my share. 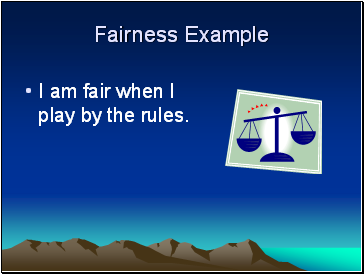 I am fair when I play by the rules. 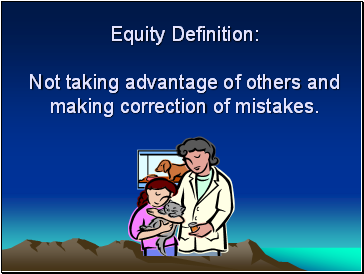 Not taking advantage of others and making correction of mistakes. 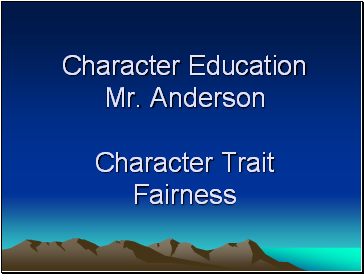 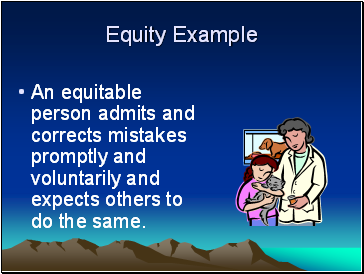 An equitable person admits and corrects mistakes promptly and voluntarily and expects others to do the same. 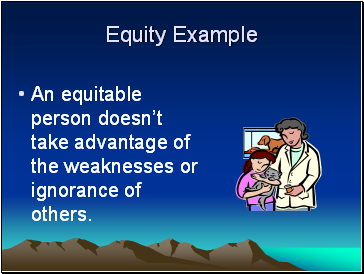 An equitable person doesn’t take advantage of the weaknesses or ignorance of others. 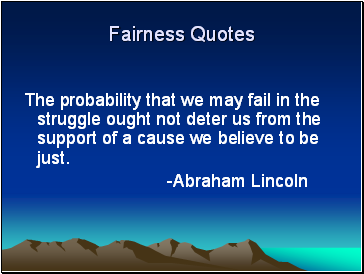 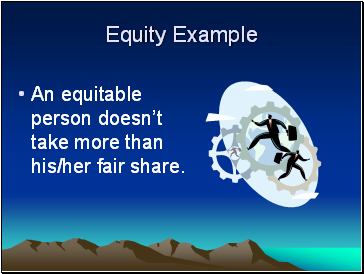 An equitable person doesn’t take more than his/her fair share. 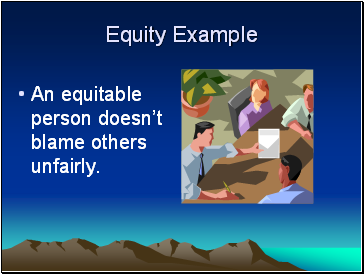 An equitable person doesn’t blame others unfairly. 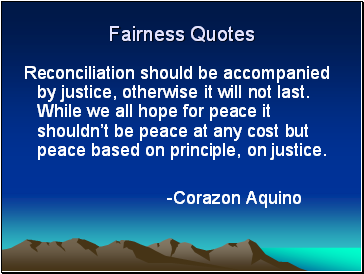 Reconciliation should be accompanied by justice, otherwise it will not last. 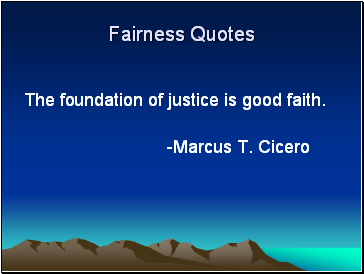 While we all hope for peace it shouldn’t be peace at any cost but peace based on principle, on justice.